In the mid 16th century, Tobacco had become popular with the French aristocracy and so Tobacco farms were encouraged. Here in Clairac, around 1636, were some of the very first such farms where Tobacco was grown and produced on an industrial scale. 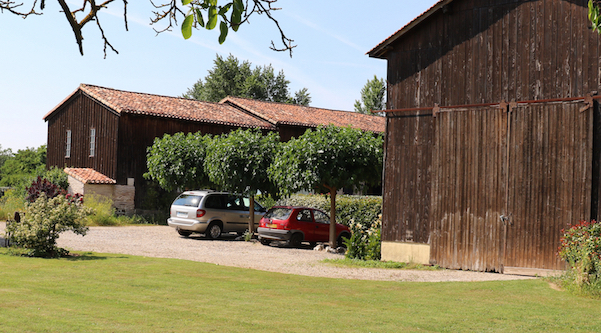 Les Séchoirs is one such farm and although the current land is significantly reduced in size from those days, the large barns in which the tobacco was hung to dry – les séchoirs – are original, but naturally restored. The river Lot then provided the transport to its confluence with the river Garonne where, at Tonneins, a large cigarette factory employed many people. So famous was it that it became known as the Tobacco town! The photos below show the original (but restored) Tobacco drying barns at the entrance to Les Séchoirs. For more information see the history of tobacco growing in France or take a trip to Bergerac to the Tobacco museum it’s just over an hour away; but well worth the visit.